We just got back from a much needed break at my in-laws farm in Virginia, this is where M grew up. We ate a lot of biscuits, had lunch with author Emily Nunn who wrote The Comfort Food Diaries (I strongly recommend, you should read this), pickled beets, fried chicken and casseroles. In need of an easy winter breakfast idea or even a side dish? Then try this savory bread pudding with mushrooms and Brussels sprouts, it’s easy enough to manipulate and you can tweak it with your own seasonings and add more vegetables. Get the recipe here! For those of you that like chorizo, cook about 1/2 cup up and fold it in. I went on The Splendid Table and chatted with Russ Parsons, you can listen to it here. Book Tour Stuff: This weekend, I’ll be in Los Angeles chatting with author John Birdsall about SEASON at Now Serving LA on Saturday, December 8 at 10:30am. Stop by to say hi! Here are some of my favorite Christmas cookbooks and there are a couple of new ones that I added to the list this year. Zoë François and Jeff Hertzberg follow up with the latest cookbook, Holiday and Celebration Bread in Five Minutes a Day. There are lots of instructional color photos that make some of the more involved recipes easier to follow. Fruit by Bernadette Wörndl - this is not technically a Christmas book but there are recipes in here that work well for a Christmas or holiday dinner celebration. And last but not least, Nigel Slater’s Christmas Chronicles that came out a year ago and in his usual style of splendid prose and imagery, weaves a relaxed yet excellent composition of splendid recipe ideas to cook from. Stay tuned for my cookbook shopping list, I will have my first ever cookbook round up for the year, soon! 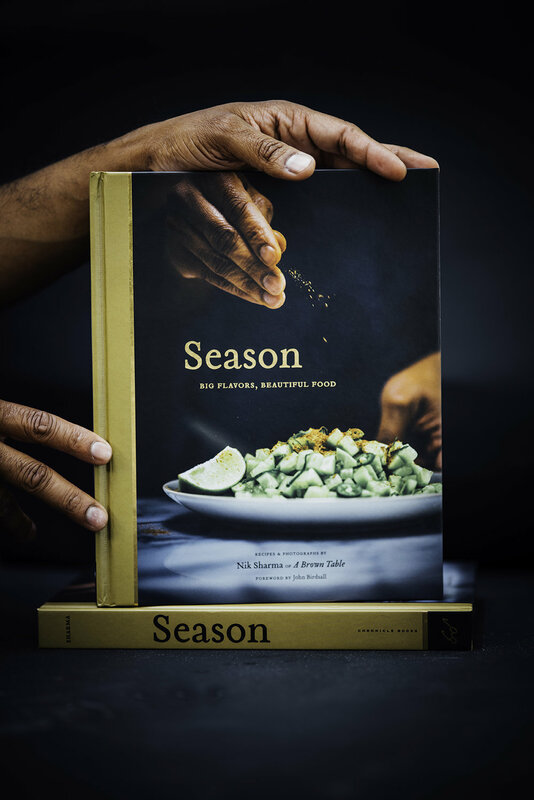 Season is in the NYT Best Cookbooks of the Year! The BBC Food Programme listed Season in the Best Cookbooks of the year shortlist!